To ensure smooth functioning of the auto parts of your car, oil change services must never be neglected. It helps heal wear and tear of these parts. Oil change service is a comprehensive preventive maintenance service which must be opted for carefully, based on the driving patterns and usage of your car. SuperMechanic goes through the condition of the vehicle and recommends the best oil that you must use for your car. For instance, we may recommend you go with conventional oil if your car isn’t subjected to severe driving conditions such as dusty roads, short trips, extreme temperatures and lastly, these are not heavy loaded vehicles. Conventional oil is known to give good protection. A high mileage oil is known to help replenish worn and leaky seals and also helps reduce oil consumption. On the other side, there is synthetic blend oil which is a midway between conventional and high mileage oil. It does give better protection than conventional oil, however, cannot be compared to the performance of the full synthetic oil. 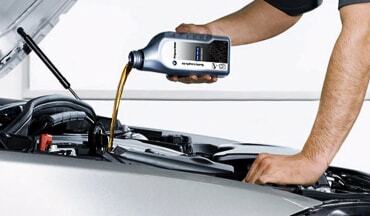 Full synthetic oil is known to give the best protection, performance and cleaning. It is regarded as most fuel economic and suits best in extreme climatic conditions. Consult SuperMechanic before your next oil change and we guarantee that our guidance will point you in the right direction, ensuring you not only satisfaction and peace of mind, but also improvement in the performance of your vehicle.